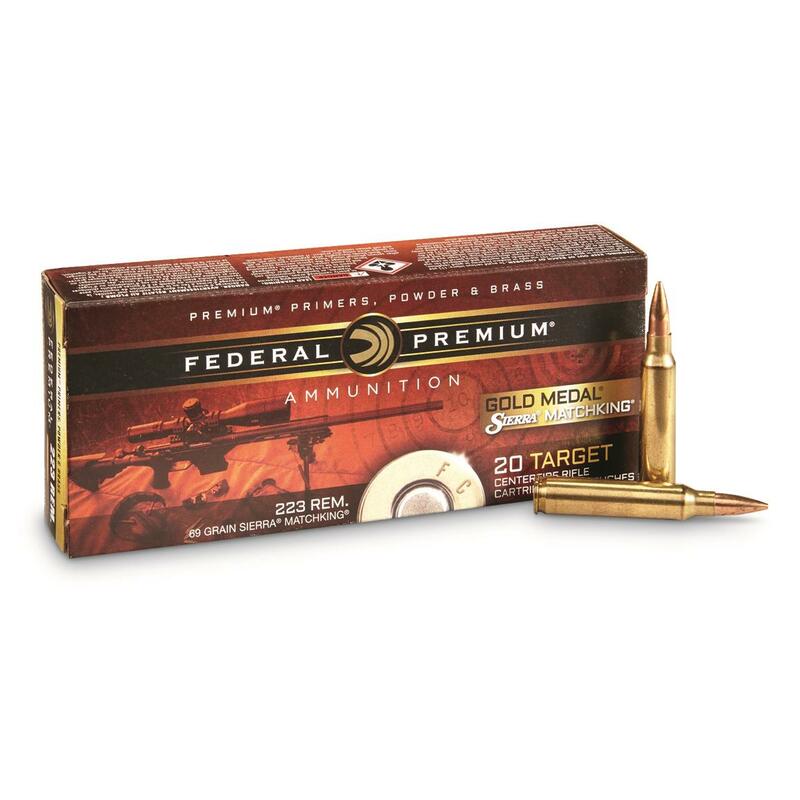 Federal Premium® Gold Medal® Match Loads feature the Sierra® Match King® boat-tail hollow point bullet…a proven winner at prestigious competitions around the world. Combined with Federal's own specially drawn match grade brass, unequaled benchrest quality primers, specially selected powders, and assembly teams dedicated to perfect ammunition, Federal Match is in a class by itself. Federal Premium Gold Medal .300 Win. Mag., BTHP, 190 Grain, 20 Rounds is rated 5.0 out of 5 by 7. Rated 5 out of 5 by Thunder Smokewagon from Very Accurate!! Very accurate for factory ammo. Choreographed 20 shots. Standard Deviation less than 8. 0.50 MOA groups. If your running short on time to reload, this is your ammo. Rated 5 out of 5 by JHayes from Consistent reliable ignition I have bought the FederaL large pistol primers (No 150), by the case and have always had consistent reliable firing. Rated 5 out of 5 by Phantom30 from Go to standard Read Byran Litz's Weapon Employment Zone Analysis it highlights this round and the other two I shoot in my 300WM 5R. This GMM round has excellent muzzle velocity consistency and is my standard when using the detachable magazine because it is loaded within SAAMI max COAL. The other two are longer then SAAMI COAL and can only be used using loose round hand feed. That is why I call this my standard, it has full functional utility. The report shows this round with 1033 meter 90% hit percentage against a IPSC silhouette target. Rated 5 out of 5 by Jared from 760 yards sub moa awesomeness!!! I've put 500 rds of this ammo through my Remington 700 Long Range. From the start my groups have been great. 500 rds later my skill level has drastically improved and my 100 yard groups are 5/8" MOA or less. Best ammo I've used...ever. Rated 5 out of 5 by Big B from Hard to beat 20rd chrono avg was 3,014fps from 24" barrel. Groups sub-1/2moa every time to 600yd, (5-rd groups), and opens a little beyond, (likely ME, not the ammo or rifle). I've tried to reduce with handloads and found it not to be worth the effort as this factory ammo outshoots my ability all day long every day. Great ammo! Rated 5 out of 5 by Team1 from Accurate!!!! Accurate.... this groups from 100 to 500 yards every box.Federal is hands down great ammunition.. Rated 5 out of 5 by marksman3 from ONLY AMMO I USE THE ONLY AMMO I USE ON MY REMINGTON PSS 308 WIN, 300 WIN MAG. Loaded to meet the demands of whitetail hunters.